Magick of the Gods and Goddesses is a handy, comprehensive reference guide to the myths and deities from ancient religions around the world. You can easily find the information you need to develop your own rituals and worship using the gods/goddesses with which you resonate most strongly. 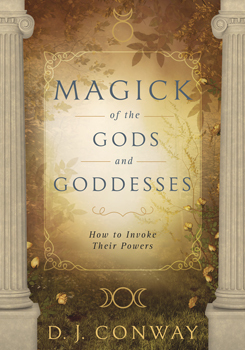 More than just a mythological dictionary, Magick of the Gods and Goddesses explains the magickal aspects of each deity and explores such practices as witchcraft, ceremonial magick, shamanism, and the Qabala. It also discusses the importance of ritual and what makes magick work.